You have probably read that a smile is a happiness found right under your nose on greeting cards and posters without considering the importance of making this facial expression. When you think about it, smiling a lot helps everyone feel better all day. While smiling, you will have a good feeling inside that leads to an improved mood instead of grumpiness. In order for you to frown, the muscles in your face have to work harder than when smiling. This means you should avoid frowning to prevent getting a tired looking face. Not only should you give a smile to others, but you should also smile when home alone. 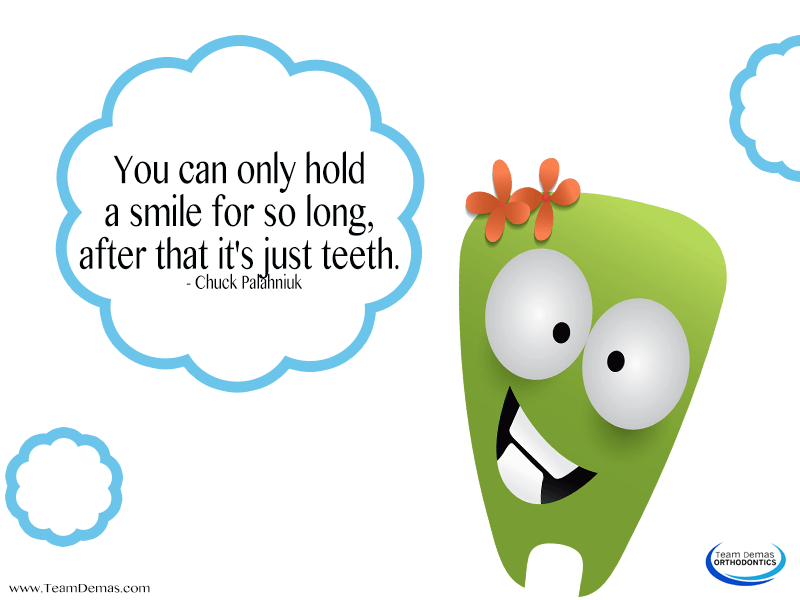 Have you ever noticed that a smile comes back to you as you smile while out in public? Many people are completely lost in their own thoughts when at a grocery store or public library until someone offers a big smile. In many cases, that simple expression of friendliness is all another person needs to feel happier for the rest of the day. Make sure that when you give a smile, happinessit lightens up your face, including adding a sparkle to your eyes. When you feel too shy to give a smile to a stranger, think about something joyful such as a cute kitten. In every culture around the world, a a happiness, making it an easy way to communicate. When you make a habit of smiling, other people want to associate with you more often, leading to having more friends. If you are dissatisfied with the appearance of your smile, then call Team Demas Orthodontics for an evaluation now!